If you are not a U.S. Person, send in your cv / resume now !!!! This entry was posted in Uncategorized on December 26, 2013 by renounceuscitizenship. Looks like all the banks are “Whistleblowers” now. Under the Foreign Account Tax Compliance Act (FATCA), withholding agents must withhold tax on certain payments to foreign financial institutions (FFIs) that do not agree to report certain information to the IRS about their U.S. accounts or accounts of certain foreign entities with substantial U.S. owners. searched for specific information (FI name, GIIN or country). Search results can also be downloaded. Awareness of the implications of the Foreign Account Tax Compliance Act, also known as FATCA, is growing.Passed by Congress in 2010 as part of the Hiring Incentives to Restore Employment (HIRE) Act, this extraterritorial law has sparked global fear, confusion, anger and controversy. Now that controversy has come home. There is growing domestic opposition to FATCA implementation. U.S. lawmakers and banks are fighting reciprocal information exchange promised to other nations like Mexico and Germany. Yet another delay in implementation was announced recently by the U.S. Treasury. 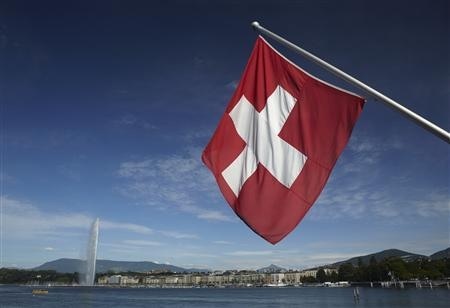 Switzerland and the United States reached a watershed deal on August 29, 2013 to punish Swiss banks that helped wealthy Americans stash money in hidden offshore accounts, closing the door on an era of bank secrecy and tax evasion. Interesting article, but most of the comments and the article itself are evidence Americans abroad don’t really understand what’s coming down the pipeline. A few months ago, Geneva journalist Christophe Ungar got quite a shock: without any prior notice, his local bank closed out his mutual funds account, resulting in considerable losses due to the early withdrawal. This was not an inadvertent mistake, but, rather, an intentional move to oust Ungar, a US citizen, from the financial institution where he had banked for years. “When the bank realized I was American, they started treating me like I had the plague,” he says. This scenario is all too familiar to another American, Geneva financial adviser Anne Hornung-Soukup. Her accounts – including a pension investment fund – were suddenly closed in recent months by her two banks, each explaining in a letter that its services are no longer available to US citizens. This entry was posted in Uncategorized on December 22, 2013 by renounceuscitizenship.